We're celebrating the season of love with irresistible deals on romantic getaways to your favorite AMResorts. Ideal for reconnecting with family or spending time with someone special, there's nothing better than a last minute vacation, where everything is included. For a limited time, enjoy exclusive rates to Zoëtry Wellness & Spa Resorts, Secrets, Breathless, Dreams, Now, and Sunscape Resorts & Spas, in popular destinations throughout the Caribbean, Mexico, and Central America. To make these deals even sweeter, you'll receive a special in-room amenity upon arrival! Book your Heart to Heart getaway by January 27, 2017. Unlimited-Luxury® for adults (18+) only! Receive $200 in resort coupons (per room, per stay), non-stop transfers, limitless access to top-shelf spirits and gourmet dining, and more! Deal of the Day Room (100% non-refundable). Based on double occupancy, includes gov't taxes & fees. Price is per person from Cleveland on Exclusive Vacation Flights via Frontier Airlines. 3nts travel Feb 22, 24, 2017; 4nts travel Feb 13, 20, 25, 2017; 7nts travel Feb 20, 22, 2017. Price will vary for other departure cities. 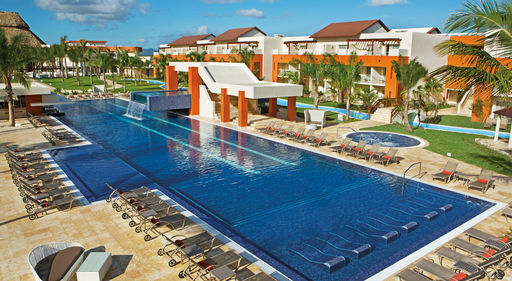 Experience Unlimited-Luxury® at the adults (18+) only Breathless Punta Cana. 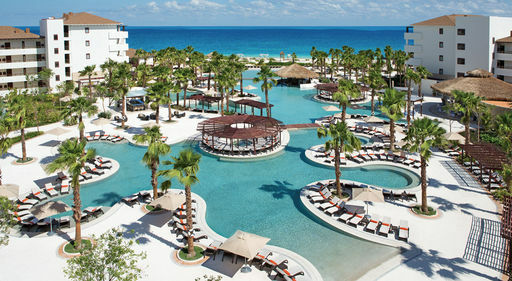 Pricing includes non-stop transfers, reservation-free dining at gourmet restaurants, endless entertainment, and Unlimited Connectivity. Deal of the Day Room (100% non-refundable). Based on double occupancy, includes gov't taxes & fees. Price is per person from Lansing, MI on Exclusive Vacation Flights via Miami Air Operated by TUI Airlines Belgium N.V. 3nts travel Feb 8, 22, 2017; 4nts travel Feb 11, 25, 2017; 7nts travel Feb 8, 22, 2017. Price will vary for other departure cities. Situated on the breathtaking, golden sand beaches of Banderas Bay, this resort is perfect for families, friends, and couples. Enjoy Unlimited-Fun® with non-stop transfers, and endless access to a la carte restaurants, and more. Deal of the Day Room (100% non-refundable). Based on double occupancy, includes gov't taxes & fees. Price is per person from Chicago O'Hare on Exclusive Vacation Flights via Frontier Airlines. 3nts travel Feb 24, 2017; 4nts travel Feb 20, 2017; 7nts travel Feb 20, 22, 2017. Price will vary for other departure cities. Discover adults (18+) only Unlimited-Luxury® in beautiful Los Cabos! Enjoy $200 in resort coupons (per room, per stay), non-stop transfers, limitless gourmet dining, and much more. Visit nearby participating resorts with the Sip, Savor, and See dining experience! Deal of the Day Room (100% non-refundable). Based on double occupancy, includes gov't taxes & fees. Price is per person from Denver on Exclusive Vacation Flights via Frontier Airlines. 3nts travel Feb 9, 23, 2017; 4nts travel Feb 26, 2017; 7nts travel Feb 14, 2017. Price will vary for other departure cities. 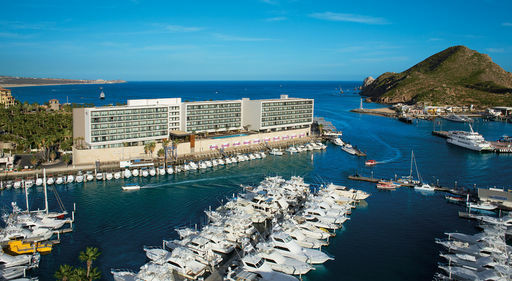 Set aside a pristine beach, Dreams Huatulco Resort & Spa is perfect for couples and couples with children. Indulge in Unlimited-Luxury® with non-stop transfers, gourmet dining, and more. Deal of the Day Room (100% non-refundable). Based on double occupancy, includes gov't taxes & fees. Price is per person from St. Louis on Exclusive Vacation Flights via XTRA Airways. Travel Mar 3, 31, Apr 7, 14, 2017. Price will vary for other departure cities. Unlimited-Luxury® comes to Costa Rica with Dreams Las Mareas! Enjoy junior suite mountain view accommodations, $200 in resort coupons (per room, per stay), non-stop transfers and experience endless gourmet dining at six restaurants. Based on double occupancy, includes gov't taxes & fees. Price is per person from Los Angeles on Exclusive Vacation Flights via Alaska Airlines. 3nts travel Feb 25, Mar 4, 2017; 4nts travel (Sun) Feb 26-Mar 12 2017; 7nts travel (Tue/Sat/Sun) Feb 25-28, Mar 12, 14, 2017. Price will vary for other departure cities.